It’s the middle of winter and you might not feel like getting out and about in this cooler weather. That was until you saw the great list of upcoming Australian marketing events that are being held in various locations around Australia this July. The Marketing.com.au team are passionate about keeping you updated on the most popular upcoming Marketing events around Australia each month. So, if you’re involved in, or know of any interesting Australian marketing or advertising industry events that you think rate a mention, please let us know. All you need to do is submit your event here. Melbourne Business School’s Centre for Business Analytics presents the Melbourne Business Analytics Conference on Thursday 13th July 2017, showcasing the leading Analytics and Data-Driven practitioners in Australia and New Zealand. Providing a forum for 350+ senior executives, industry professionals and researchers, to discuss the transformation of decision making through advanced analytics, Data Science, Big Data, Machine Learning, AI and leadership in Data and Analytics. Growth Marketers have a hybrid mix of technical, tactical and strategic skills in product, data, and marketing. They are the combined wit of hackers and hustlers. They use data-driven, unconventional and experimental marketing approaches to fuel the growth and scalability of startups from the ground up. Growth marketing creates a platform for companies to accelerate forward. Learn the fundamental techniques to unlock scalable and repeatable hockey stick growth as a growth marketer or entrepreneur. You will look at a variety of web-based writing passages and learn how to engage their target audience with more meaningful and interesting copy. This is a hands-on workshop and participants will be required to undertake various writing and planning tasks specifically related to their current roles. You will look at a variety of web-based writing passages and learn how to engage their target audience with more meaningful and interesting copy. This is a hands-on workshop and participants will be required to undertake various writing and planning tasks specifically related to their current roles. Participants get a comprehensive set of notes on the topic, relevant examples of material for analysis and discussion along with practical experience in implementing learned techniques. Facebook is always changing and it can be hard to keep up! Before you can truly succeed at digital marketing you need to ensure you have laid the correct foundations. We will go through the important technical aspects of the platform and ensure understanding of the various insights. 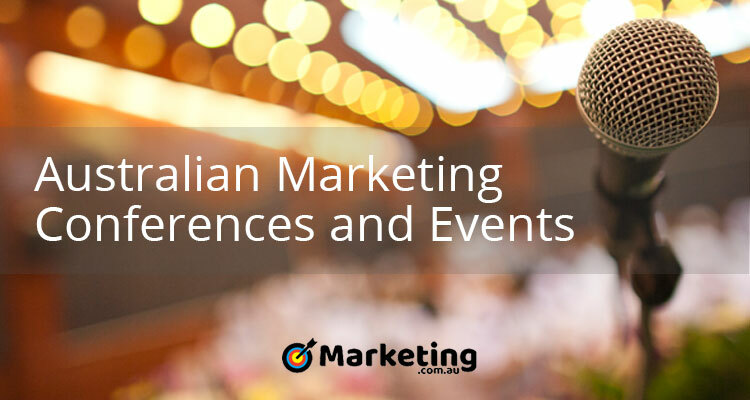 If none of these events above tickled your fancy, head on over to our Australian Marketing Conferences and Events on the Marketing.com.au calendar to see other upcoming events in the next few months. If you have an event to share with us, all you need to do is submit your event here. Calie is passionate about all things psychology, marketing, web, social and research. She is also the Managing Director and Co-founder of the Melbourne based digital agency Clickify.